Our next guest is a board-certified anesthesiologist working both in academic/private hospitals in Los Angeles. 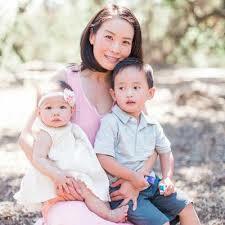 She is an entrepreneur, an author and a mother of two and a wife. Where does she find the time? In an attempt to raise money for her start-up, she accepted the challenge and opportunity to compete as a castaway on the hit reality TV show Survivor. She was on the hit TV show during season 5 of Shark Tank. Edna has written three children’s books which celebrate cultural and racial diversity. Outside of the operating room, Edna attempts to balance work, life, and being mother/wife. I bet she has some tips we all could use for work-life balance. Please help me welcome Dr. Edna Ma! Discover how Edna balances her medical career, family, and entrepreneurship ventures. Explore the pros and cons that came from her experience on Shark Tank, Did she get a deal??? Receive tips and tricks to help you get on Shark Tank, the process may be a lot different than you may think it would be.